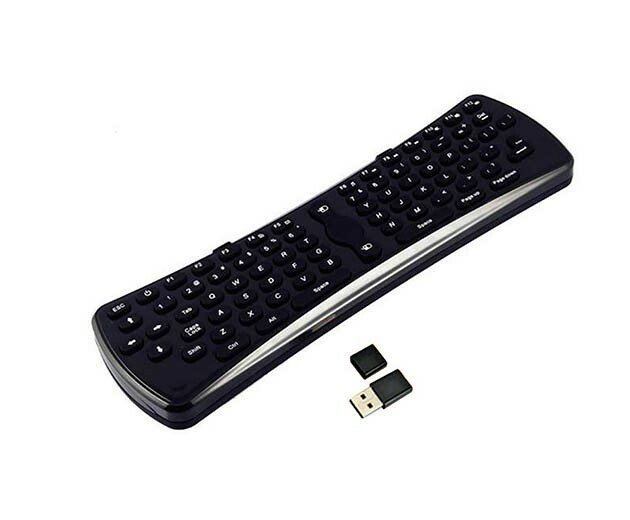 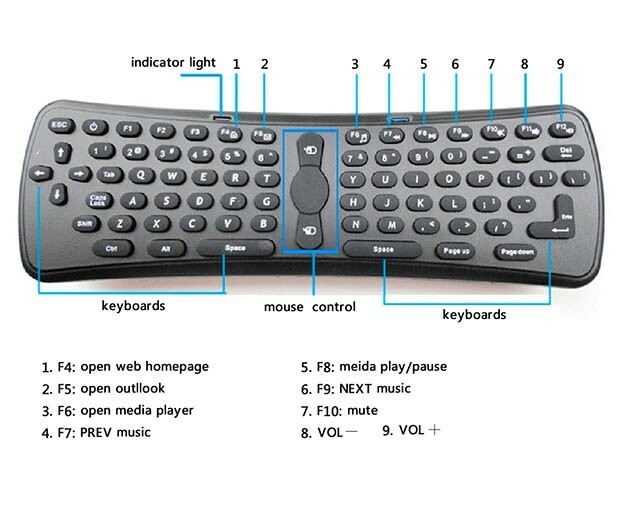 This Wireless Fly Air Mouse Keyboard can accomplish functions of traditional keyboard and mouse. 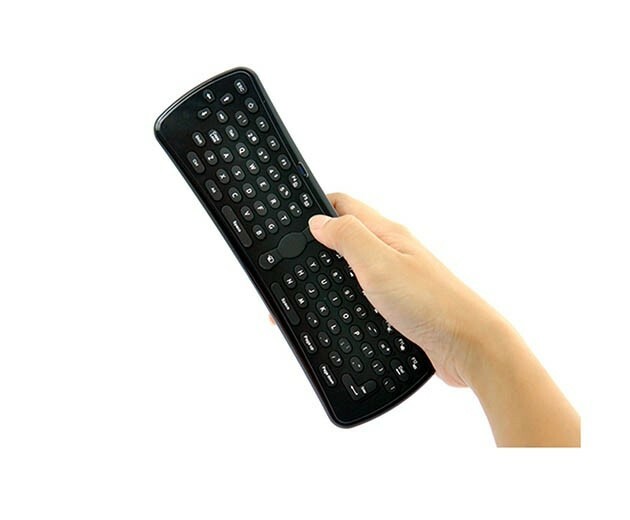 Handling the cordless mouse in the air,you can quickly and exactly remove the cursor and control the PC. 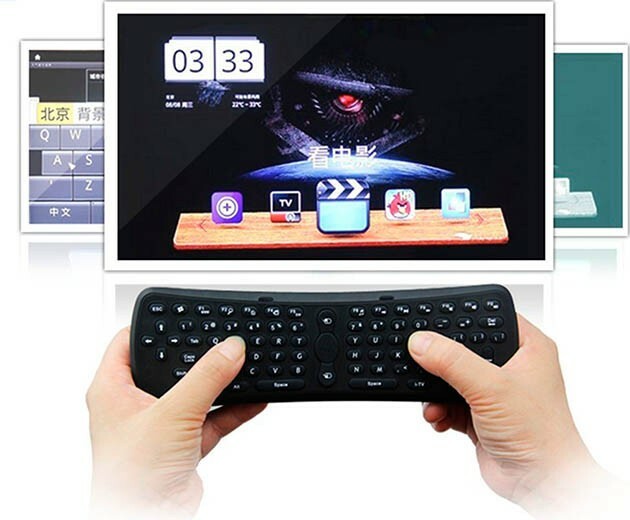 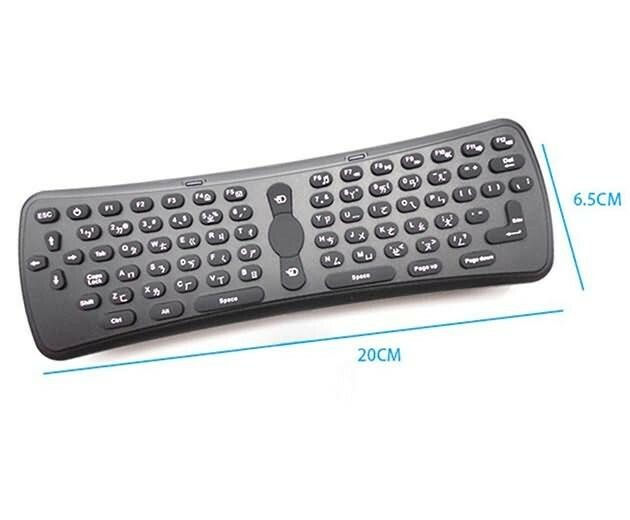 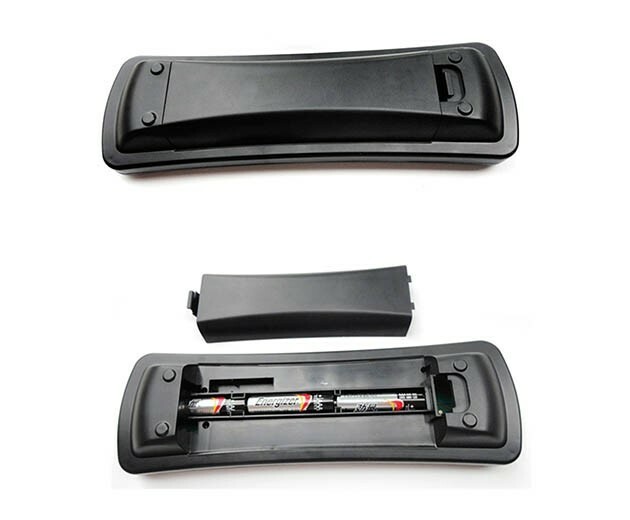 It can be used for Android TV BOX/Mini PC, Smart TV. 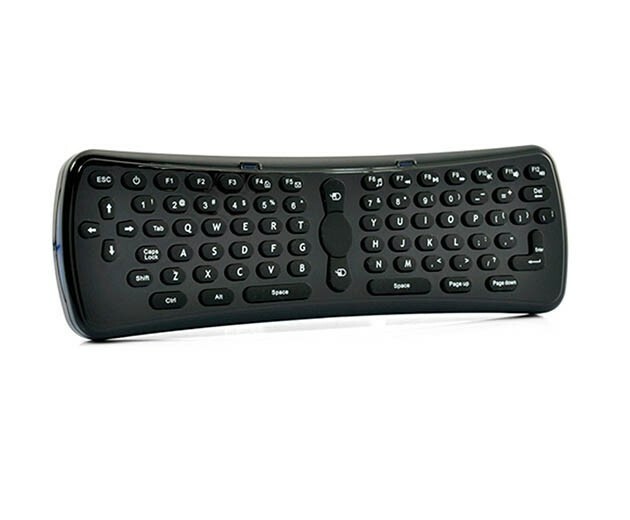 An operating range of Max 10 meters lets you navigate media from anywhere in the room,Sit back and use this Air mouse to surf the Web, browse photos,or listen to music, play games in the room.